Peel potatoes and cut into roughly 1 inch pieces. 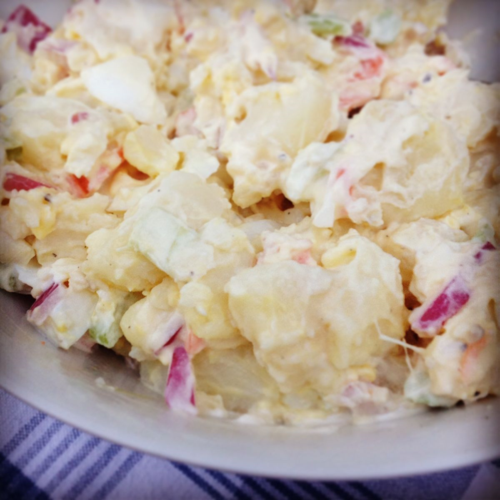 In a large bowl, toss together potato, egg whites, peppers, radishes, peppers, carrots and onions. Using a fork, mash the yolks in a small bowl; Midwestern Garden Radish, mayonnaise, and mustard, stirring until well blended. She is always searching for simple recipes that say something special, ideas for make ahead dishes that keep a hostess from being in the kitchen all day. She has made a more than a few great salads in her day. 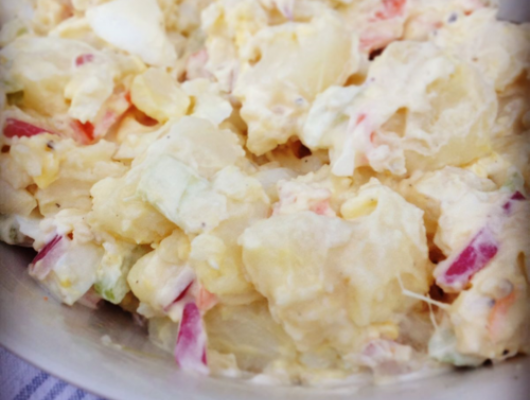 This potato salad is one that never gets old.